The cheesemakers, blessed as they are, love this holiday … almost as much as the cheese eaters. 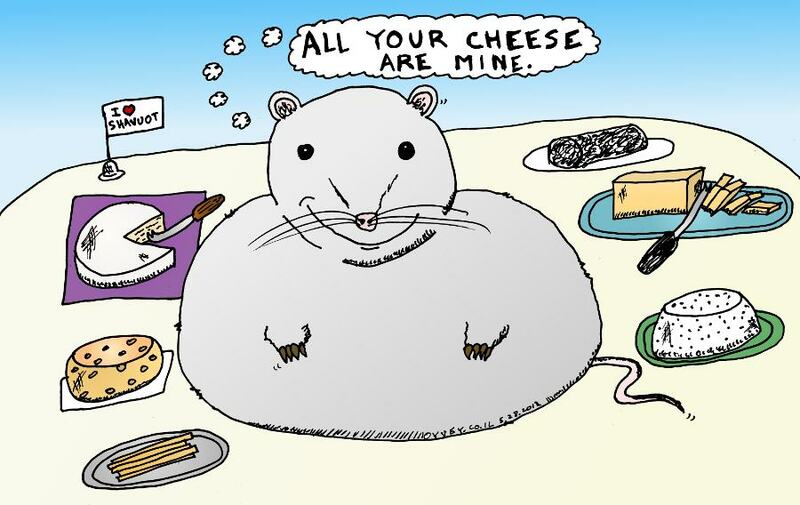 To cherish this sacred tradition of eating cheese and other dairy, Oy Vey presents you with this happy mouse caricature, illustrated among an array of tasty cheeses. Once you’ve filled up on the goods from the goats and the wows from the cows, fill up the last remaining empty cell in your brain with one of Laughzilla’s cartoon books, and who knows? You may have much more tolerance for lactose. Besides, who can resist one more piece de resistance?